← TOP EAST AFRICA’S DIRECTORS SERIES – GATONYE VS KONSTANTARAS. 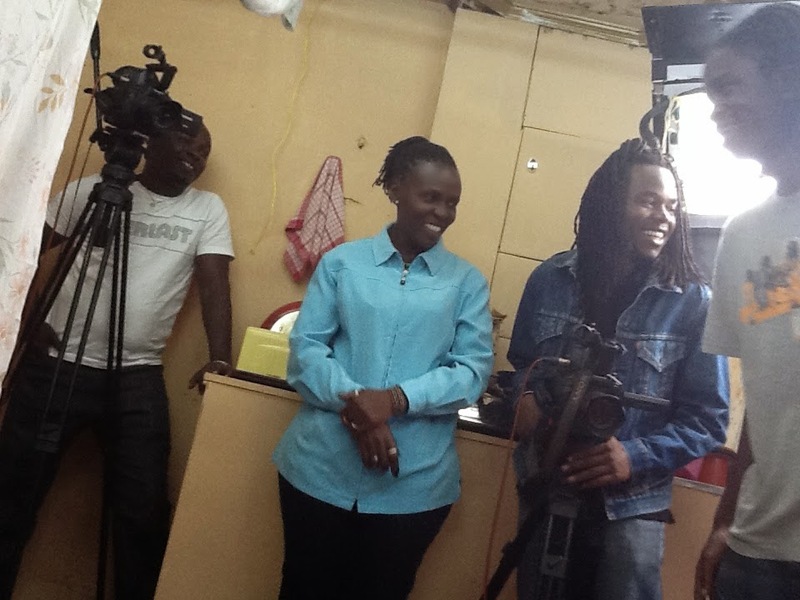 Female directors on Point – A Look At Ekwa Msangi and Carol Odongo-Boy. As we continue on this series of East African directors, I compare and contrast two female directors; – Carol Odongo–Boy and Ekwa Msangi. One is a theatre expert who has spread her wings to TV production while the other is an independent film maker who has carved her niche on both the local and international scenes. orchestra at St. Mary’s School, noteworthy for having brought out some of Kenya’s highly recognizable talent in the music scene including stars like Chris Adwar. However one of her family’s hobbies was going to the cinema (how nostalgic drive-ins are!). It was very obvious to Ekwa that the movies were not made for her. The characters were American or European and it was a rare jewel to come across a black actor (who had to die before the movie ended!) All she did was complain throughout the movie as her family tried hard to concentrate. During one cinema-night, her irritation incensed her father, who angrily questioned “Why don’t you make your own movies?” Ekwa took up the challenge and promised that she would. She however continued with music since as far as she was concerned no East African had ventured into movie-making before. Imagine her surprise when she found out that her uncle, by virtue of being married to her auntie, was involved in film making! Her American uncle was an ex-Black Panther member who for undisclosed reasons had to leave America and moved to Tanzania. It turned out that while at Tanzania he worked for one of the premier production houses to be set-up in East Africa. They produced anti-apartheid campaign materials, educational pieces and radio plays. Her uncle later moved to Nairobi and Ekwa’s dad requested him to mentor her on the Art of Film. Of course, years later many actors (including myself) across East Africa, America and the Caribbean are glad she had protested while the rest of us were happily enjoying the drive-in cinema experience. I first met Ekwa when I went to audition for a production that had been rumored to be of high budget and that would be the first drama series produced by M-Net in East Africa. There is always one nerve that pumps harder during auditions even though you feel well-prepared. Ekwa operated the auditions very differently. She made me feel like I was not auditioning but rather I was experiencing a practical session. I tried two roles and even insisted that I would like to try another one. She called me for a second round of auditions which was just as engaging as the first one. I was then selected to play a role that was to change my life as far as my acting experience was concerned. Ekwa is the only film director I worked with who ever called me to rehearse. Her sessions were more like therapy as she made me answer questions as the character I was going to play. She then threw a challenge that I thought was dreadful but that I’ve always used to this day. She asked me to choose a day in which I would spend the whole day as my character interacting with other people. So for the duration of that day I was Drogba, a matatu driver and the Street Kingpin who was dreaded in the whole of Eastlands. Even though this project flopped and only four or five episodes were aired, my performance was recommended everywhere with producers getting praises for my performance from fans outside East Africa. This was all thanks to Ekwa’s insistence on rehearsals and her directing skills on set. So what made Ekwa such a great actor-director? After high school, Ekwa went to America to pursue a degree in film-making and TV production at the New York University. She did not quite enjoy the first years as she faced the same challenge she had as a young girl watching movies with her family- all the projects to study were occidental and she could not relate to them. 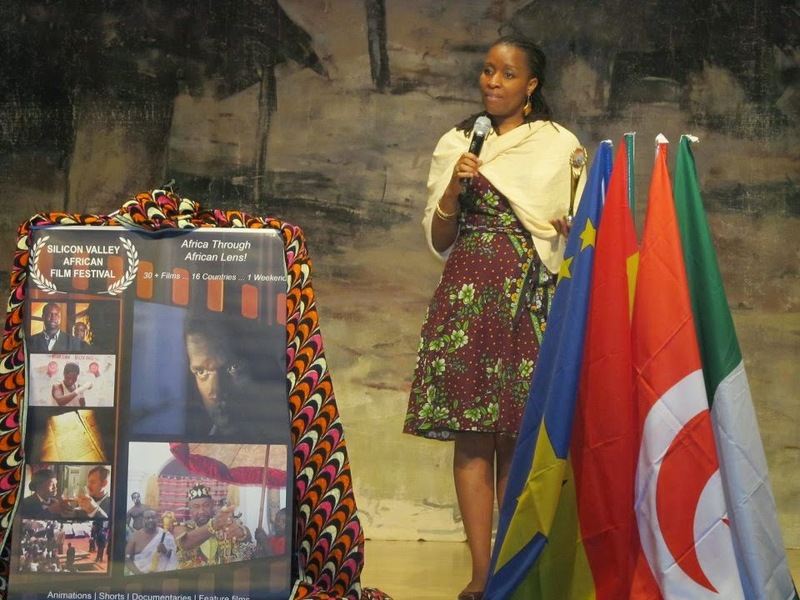 It was only in her fourth year that she was introduced to African film makers. She was intrigued but also annoyed that she had to come all the way to America and wait for three years before learning about these great artistes. She decided to enroll for a Masters Degree in African Films. This would mark the beginning of her pursuit of high quality and meaningful films that would inspire and affect people back home. As life continued to unfold, she went from project to project in the USA which automatically became her third home. She is a Tanzanian who grew up in Kenya. the Kenyan film industry. She had a memorable experience working with the crew. To her great surprise, she was respected and her being a woman had no impact on her instructions. Unfortunately, this was also her lowest moment as the project which was produced by Sterling Quality Ltd. could not stretch to the last episode of the first season due to production- related difficulties. However, through this experience, game changers like the great Dorothy Ghettuba emerged (yes, I just called Dorothy Great). Dorothy, the award winning producer, worked as a project manager in The Agency and later went on to form Spielworks Media after the flop. Ekwa, not being the kind to cry over spilt milk got over it and steadily built an illustrious career as an independent film maker. With several award–winning films under her belt including her short film thriller Taharuki (Suspense), a 12-minute prequel to her feature film In development, was picked up for distribution by Shorts International Inc. and is currently in circulation in both North America and Europe. Weakness, a short film she produced, was nominated for a 2010 Kalasha Award and a 2011 African Movie Academy Award (AMAA). She is in the last leg of promoting Soko Sonko (The Market King) which was commissioned by Focus Features Africa First Program. She is currently co-writing and directing a highly engaging and artistic comical web series called All My Friends Are Married. 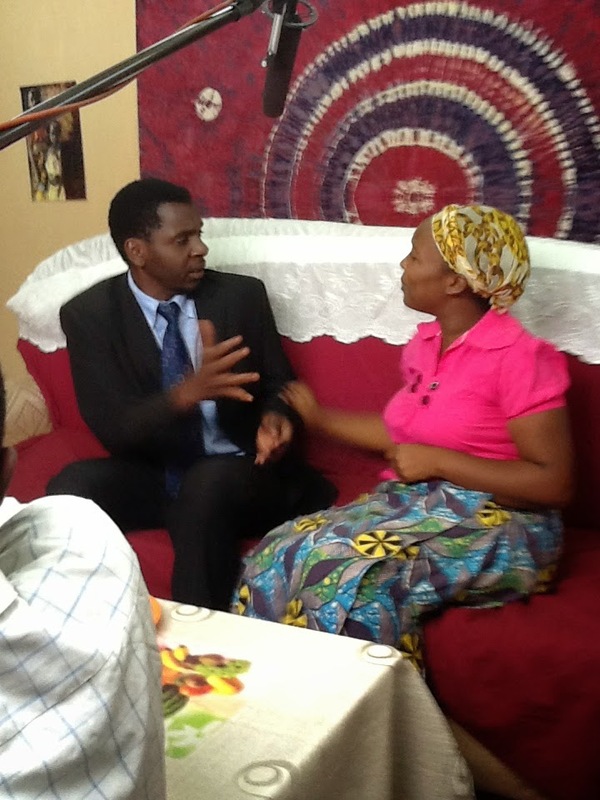 Ekwa’s approach is very much a reflection of her altruistic personality, as per the typical Tanzanian way. She focuses on getting the actor to be as natural as possible. She believes that actors are not only selected for their ability to act or for having the features the script has stated but that they also carry the personality that a director can best use if the actor is “himself”. She therefore engages the actor’s true nature in relation to the role being played. 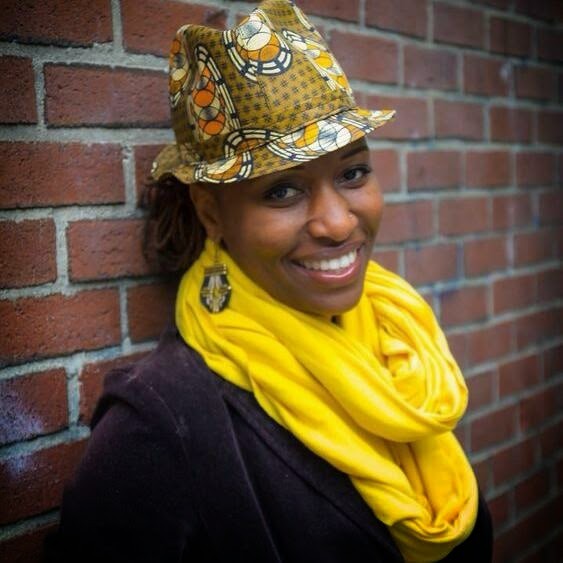 Although Ekwa is based in New York, her commitment to East African film is very vivid and she is working on a project that will be shot in the region. She urges all industry players to take their work more seriously. She stresses that our value is not only in terms of how much we get but also by what people get. We inspire, make people cry and laugh and share memorable experiences with their loved ones. If actors realized that their bodies are the platform through which all this art is exhibited and emotions elicited, they would take care of it more by working out, eating right, avoiding drugs and getting spiritual nourishment. Worthy advice for the actors, don’t you agree? I joined commercial theatre after three years of working as an amateur at the beginning of 2006. My main frustration was with the directing. I just didn’t understand this ‘blocking’ business and why a director wanted me to “tilt my neck” a little, or to “walk three steps and drop the line” or “to fill/feel the stage”…That plus many other specifics that totally eliminated my intuitive contribution as the actor. I lamented to my friend Lydia Gitachu about it. She had already tested the waters for a few years (and later went on to bag many awards and do several international projects). Lydia talked about a director who didn’t bother you with all that crap. She talked about how this director had the ability to help the cast interpret the script, hence the blockings and the line delivery came freely to the actor so that all she did as Director was to polish and choreograph the specifics. I was partly excited for and partly jealous of Lydia for having the opportunity to work with Carol Odongo-Boy. 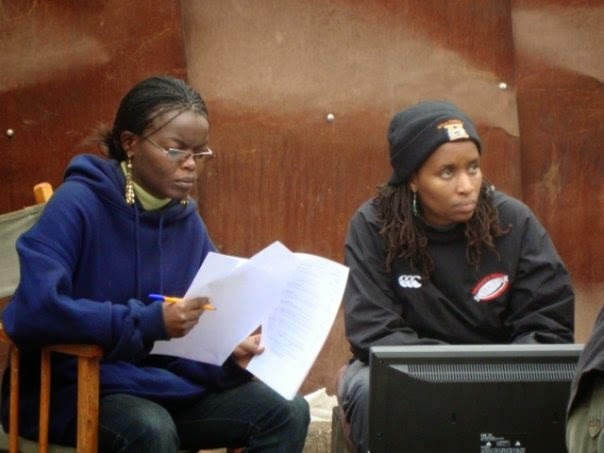 Despite my desire to work under this top talent in Kenyan theatre, I never really got to work with Carol until sometime in 2013 when she herself went through baptism by fire by directing 120 episodes in a series as her introduction to TV directing. But I am jumping ahead so let me start from somewhere. Meeting with Carol at Wasanii (we miss that bar!) was always a pleasurable moment. Her satin, bold and cheerful face made you think she was one of the new actresses looking for an audition at the Kenya National Theatre. As a matter of fact Carol Odongo is one of the most experienced and successful thespians in East Africa. She started acting in 1990 while in university. During this period, theatre was still regarded highly as an intellectual form whose reflections had great impact on the society. Perhaps because the Kamirithu movement tale (where villagers, mostly illiterate women, who had never seen a theatre before built an amphitheatre-like performance space where they performed indigenous plays) was still rife and Ngugi wa Thion’go’s revolutionary theatrical campaigns that saw audiences fill the theatre as early as 5 a.m. just to watch a play were also a near memory.Either way theatre was then still highly regarded and revered in Kenya. This was the scenario that Carol had to contend with and this meant that getting roles was not automatic; she had to prove herself. She started off as a chorus girl in a musical then graduated to small roles in straight plays after which she bagged major roles in plays up to and including a two-hander and a one-woman show. She did many years of stage management in between acting and then moved into directing one-act plays and eventually full-length plays including musicals. Her entry to directing was not immediate nor was it eventful. The decision was made quietly; in silent and private moments. No one could understand this personal dilemma. In truth, she had no doubt that directing gave her a lot of satisfaction including the ecstasy of creating and the responsibility of moulding people into great actors. On the other hand, she was at her prime in acting and madly in love with the vocation. Her first challenge was a Theatre For Development model- based project that required a cast of more than twenty performers. It was in 1996 while working at the Phoenix Players where the legendary James Falkland noticed her attention to detail and interpretive skills and took it upon himself to mentor Carol into one of the most sort after directors to date. Of course all Falklandarians have a favorite lesson- hers was how to deal with actors because of their varied temperaments and personalities. Falkland always compared actors to ‘race horses’- you must know how to deal with them; know when to use the carrot and when to use the stick! Carol left an admirable record at Phoenix having worked on fifty repertories. Demand for her work however grew and every producer who cared about high quality and dignified production contacted her. This saw her direct numerous plays at the Kenya National Theatre, Alliance Française and theatre companies in Mombasa between 2002 -2004. Around this period many great and successful actors passed through her capable hands, including Kenneth Mason, Annabel Maule, Sam Madoka and Ian Mbugua. 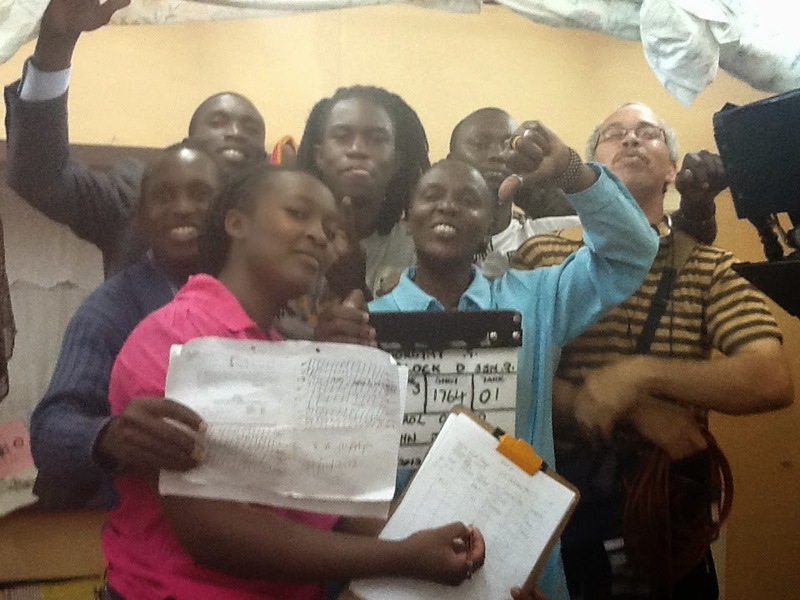 Many actors see Carol as a mentor who took it upon herself to take time to train the actor having been fully aware that there are no successful acting schools in Kenya (And please don’t tell me about the archaic and classical-theory filled theatre and film degree course in the universities). As a matter of fact it is difficult to find a successful Nairobian actor who has been in this game for a while and did not go through Carol! Why did Carol turn to film directing? Film was never far from Carol’s grasp as her husband Cajetan Boy, one of the most prolific script writers in East Africa, had already made the switch from stage to film. Carol, as an accomplished script writer herself, helped Cajetan Boy and other TV script writers in conceptualizing and writing scripts. She was however resistant to the idea of leaving theatre as this was her first love and she knew that this was the only suitable space to train actors. However the phenomenal producer, Dorothy Ghettuba was determined to re-make Block–D, which had ended in struggles two years after its first season with KBC. She managed to convince Carol that this was the debut project for her. Having been a cast in the series myself, I can tell you that no one could tell that Carol was doing her fist real TV job. She assembled an outstanding cast and was always dignified when handling any challenges on set. True to her abilities, she successfully head–wrote and directed the one hundred and twenty episode show which was an immediate hit on Africa Magic, with a steady and loyal viewership. This marked the beginning of a now illustrious career. Depending on what you consider to mean latest, she worked on Mama Digital, a TV sitcom with Ebru TV last November just after producing two successful pilot series that were about to go on air. 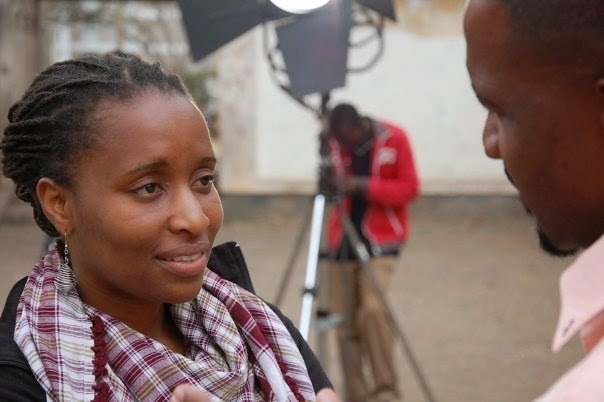 She also directed one hundred and twenty episodes of the drama series Sumu la Penzi with Spielworks Media which currently airs on Maisha Magic Swahili. Have you worked with either of these ladies? What did you think? What did you learn? I would love to hear….